Art Deco 5 stone diamond engagement ring from the 1920s. 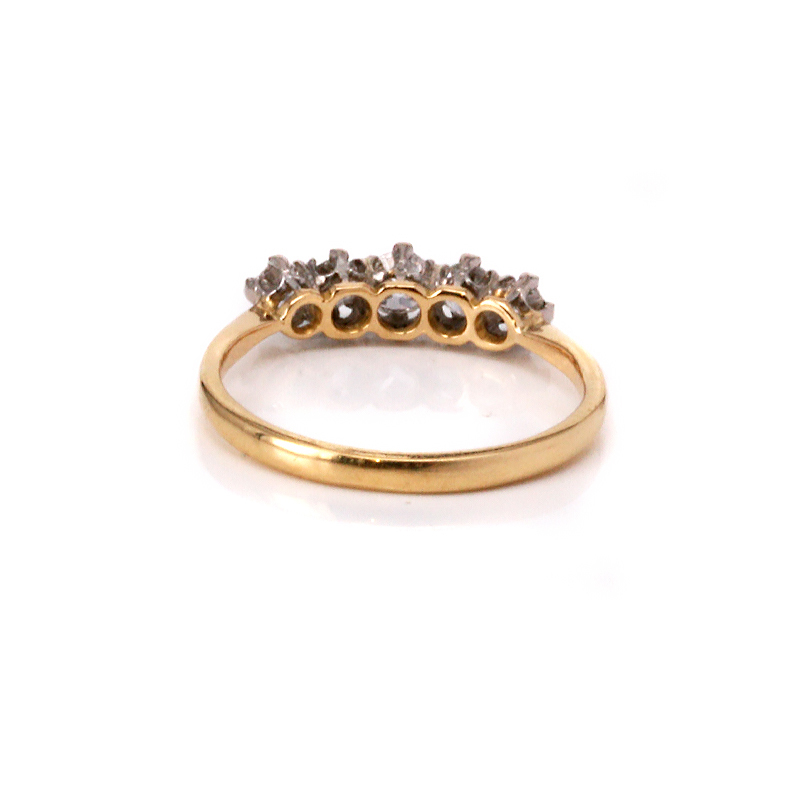 Product code: ES7229 Categories: Sold Items, Sold Rings. Here is a very elegant Art Deco 5 stone diamond engagement ring that sits so well on the finger on its own or along side a wedding band and was made in such a traditional design that has never gone out of fashion or style. Hand made in 18ct yellow gold and platinum in the 1920's, this ring is set with five European cut diamonds that total 0.68 carats and are G in colour and Vs to Si in clarity. The sparkle from the diamonds is just wonderful and being claw set allows the maximum amount of light to enter through the diamonds and really make them sparkle. Measuring 15.5mm across by 4.4mm wide at the centre, when this is on your finger, you can see why this has been such a traditional and practical design that has been used for centuries. A very lovely and timeless diamond engagement ring that will always be loved and cherished. 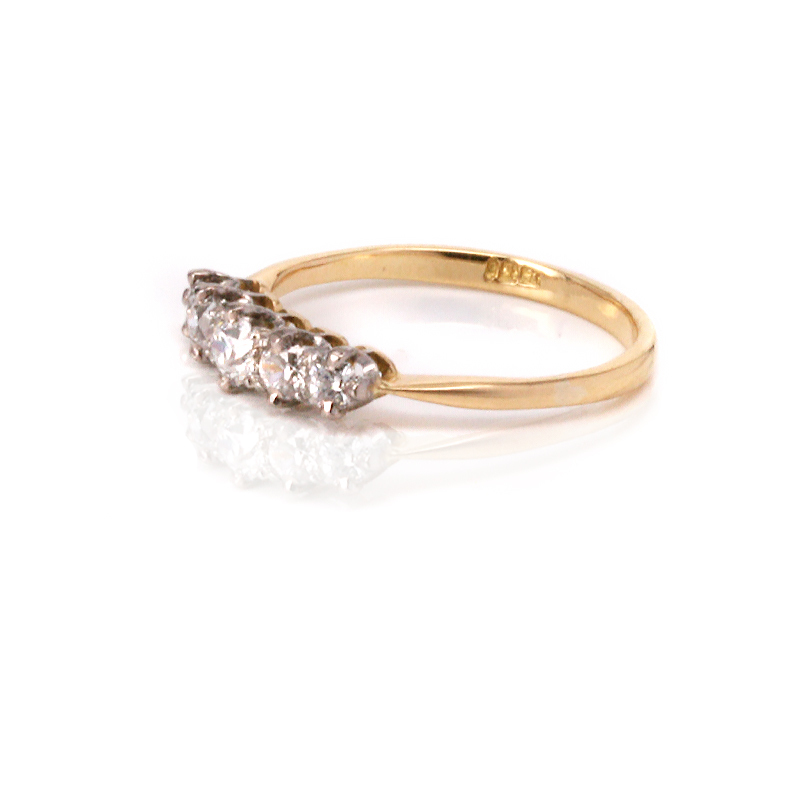 Art Deco 5 stone diamond engagement ring dating from the 1920’s and hand made in 18ct gold and platinum.